My grandaunt from Hong Kong just touched down at KLIA on Friday; and she brought me one of the world's best (and of course my ultimate favourite) Wife's Cakes (lou poh peng in Cantonese) along!!!!!! The Wife's Cakes is different from those made in Malaysia (typically Penang). I'm being very just in my opinion, I think these Hong Kong's Wife's Cakes are so much better than local ones! It's crispy crusted on the outside with soft and just-the-right-sweetness (very lightly sweetened but enough to give you that harmonious feeling ~ If you know what I mean. 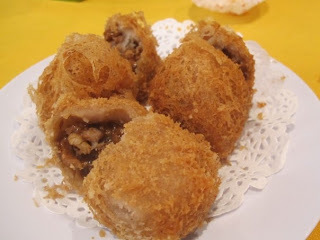 :P) glutinous rice filling that makes every bite a jolly good one! 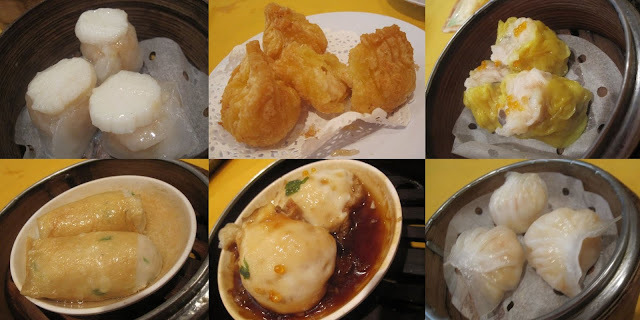 Occasionally, we get cravings to go for something a lil' more expensive for breakfast - dim sum! So, where better place to go in Seremban, if it's not Min Kok Restaurant? Serving, what I think is, the best egg tarts, this is the perfect place to be for a lazy late Sunday breakfast. 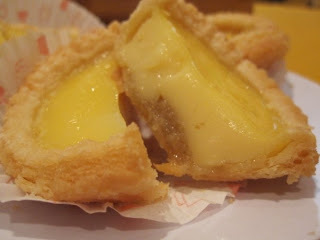 Their egg tarts are kind of special because it is layered with a base of kaya! Imagine the taste of sweet kaya and smooth egg filling together with the crispy-easy-to-crumble crust! This is no doubt one of my favourite egg tarts in Seremban. I can't find these anywhere but here. A must order if you are having breakfast here! Erm-em!! A handful of dim sum available. These are just a few from the many served. 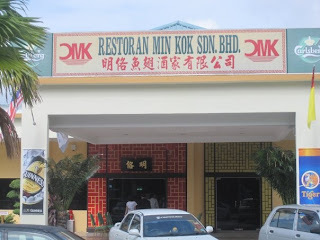 Restoran Min Kok Sdn. Bhd. 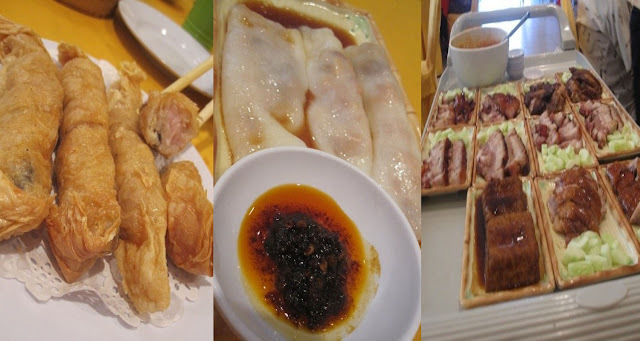 Min Kok Dim Sum Sdn. Bhd. Started off with a severe , no, a F*CKING severe headache!!!!!!!!!!!! Then, body begun heating up.......shiver, before I knew it, I was in bed, covered head till toe with a blanket shivering away, body super hot, and head F*CKING aching!!!!!!! Was forced to drink like a horse the whole week until I throw up at the sight of water.......Drink everything imanigable, from coconut water, 100 Plus, Chinese herbal medicine to papaya leaves extract! EWWWWWWWWWWWWWW!!!!!!!!!!!!! At one moment I was hoping someone kill me already, instead of forcing me drink another type of weird liquid! Apparently, I did gained weight during my holidays and was planning to lose it when semester starts.....but God had a better plan for me.......He gave me this and I dropped weight again! Such blessing in disguise! Another highlight of Project-κ! This is one of Seremban hidden jewel! Forget about Seremban siew pow, Seremban baked a.k.a. BBQ crabs (siew hai) are another thing to die for! Siew hai is very popular among tourists and locals and once aired on 8TV's Ho Chiak! food dining programme before. This dish can be found in the row of restaurants along Jalan Tuanku Munawir, but one that is famous for it is Seremban Seafood Village, which is right next to Soong Kee Ipoh Kueh Teoh at Wai Kwai Choi foodcourt. Though quite pricey (RM45.00 for 1 kg of crabs - I was told, previously was RM40.00 per kg), Seremban siew hai is undoubtedly very very delicious! It is baked with sweet, salty sauce that sticks like syrup on the crabs' shell. However, the natural sweetness is not overpowered by it. Depending on the season, crabs served may be big/small, fat/thin. The ones I had were medium in size and there was quite a lot of meat as well as roe in it. The crabs are served with this homemade chilli dipping sauce which is totally A-W-E-S-O-M-E! I can swear to God that it is sooooooo good that I can easily pour all of them to a bowl of rice and eat it just as such! Which I did! LOL! This chilli sauce is filled with chopped chilli, garlic, onions and God-knows-what-else secret recipe. It is not hot at all, just sour and sweet, perfect for eating any seafood with it! Great news! You don't need to go to Ipoh for their famous Sah Hor Fun (kway teow) because.......we have it here! In Seremban! Located at Jalan Tuanku Munawir, very near to Pasar Besar Seremban, right next to Seremban Seafood Village, the stall that sells this delicacy is inside a very humble and run-down food court called Kedai Makanan & Minuman Wai Kwai Choi. It is very easily missed as it is partially blocked by a big tree! So keep your eyes wide open if you are to search for this place. The sah hor fun was very very smooth! It's like silk gliding down your throat. Very flavourful indeed! And the char siew (BBQ pork) meat is 'thin' and was given in a generous amount. Besides hor fun, there was wan tan mee, both ordinary and green (made with vegetable extract) type of noodles to choose from. Dumplings (sui gao) were sold too. At RM1.00 each, it is perfect to go with your plate of hor fun or wan tan mee. Each plate of Ipoh Sar Hor Fun is sold at RM4.00 for small and RM4.50 for large portion. It is the most..............convenient food available?? Meat on sticks....how more convenient do you want? Hahaha.... Heck, it's delicious, cheap, and it is our Malaysian national food! Besides nasi lemak, and roti canai, and char kway teow, and etc....etc..... LOL! But where to get good satays????? Well, yeah....satay taste almost the same everywhere right? All I know is that satay is famous in Kajang. Why? I don't know lah......I heard that it's because there are a lot of variety (got ostrich, rabbit and even crocodile meat! )....taste wise? Is just so-so only lar. But that's a different story, Project-κ is about food in Seremban, so let's start. I stumbled on this satay stall almost accidentally. Was supposed to have some Chinese food but my cravings were acting up, so I decided to try the satays here at Medan Selera (Taman) Permai. The stall is manned by a Malay woman, occasionally with her husband. Located at the very end of the food court, right at the corner near the car park. RM0.50 per stick for chicken meat, and RM0.60 each for both beef and mutton satay. I don't dare to say this is the best satay in Seremban, but I dare say that it is really really good. Usually, you'll get lots of fat and skin in between the meat of a satay right? But these satays have very little fat/skin in them. Besides, the meat is very tender and succulent! It is downright sweet and flavourful even without the peanut sauce. Oh.......talking about the peanut sauce.....I don't know how to describe it but I tell you, it's good. Normal peanut sauce.....but better! The satay is cooked just right. With very little "burnt marks" which makes it still juicy in the inside! The mutton satay does not have the "sow" smell (strong mutton smell) too. 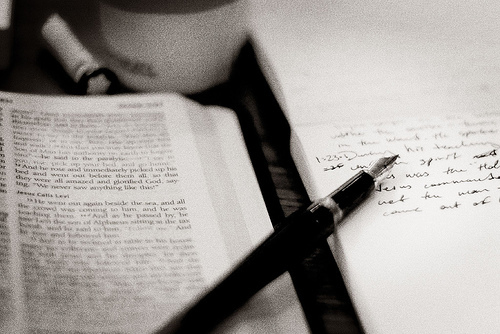 I may sound like I'm exaggerating, but you are your own best judge, so try it! 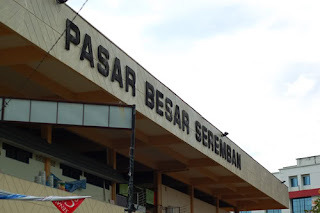 The thing Seremban is most famous for..... Just ask anyone on the street, what is the first thing that comes to mind when the word 'Seremban' is mentioned? 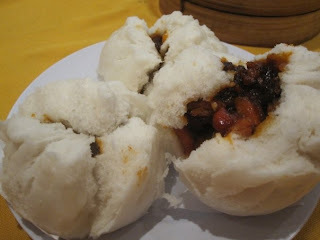 Siew Pow (baked buns) of course!!! It's surprisingly true! The moment I mentioned that my hometown is in Seremban, immediately the other person that I'm speaking to, cheers up and say "Oh! Seremban siew pow!" WTF??? It's as though I'm living in a siew pow factory and surrounded by siew pows! It's kinda annoying actually but at the same time, something to be proud of too. Well, at least my hometown is famous for something! LOL! When it comes to siew pow, this town has 3 places (exclude their branches) to buy them. Two being the most competitive that is Seremban Siew Pow and Kee Mei Siew Pow. Now, I don't know which one pioneers the business first but rest assured, Seremban Siew Pow (SSP) is the most commercialised one. It's the one with the HUGE building along the North-South KL-Seremban highway that reads "Empayar Seremban Siew Pow", the one that has mini shops all over Malaysia (a lot of places in KL and Selangor that sells siew pow are SSP's) and the one which has the biggest sign board that was even recognised by Malaysian Book of Records! 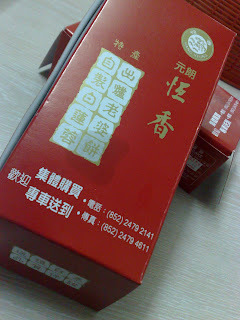 Very popular.....but I'm not going to blog about them cause its other competitor is better despite being lower profile. Kee Mei Siew Pow (KMSP) has 3 shops in Seremban, one at town (1846, Jalan Tok Ungku); one at Taman Rasah Jaya's new Family store and the other, which is the head office is located at Bukit Blossom. KMSP also comes under the name Baggi at some shops, so don't be confused. 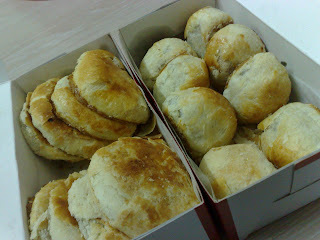 RM1.20 per piece (price updated as on 30/1/2010), siew pow can come with either pork or chicken fillings. 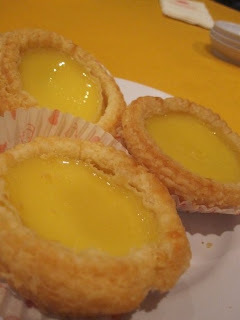 Besides siew pow, KMSP also sells a lot more variety of pastries namely, salted green bean buns; kaya buns; cheese tarts; ordinary egg tarts; Portugese egg tarts; green tea egg tarts; creamy sweet corn buns; cakes; and many many other stuff! Prices are very reasonable too. I personally think KMSP's siew pow tastes better than SSP's. The size of the former is slightly larger than the latter and flavour wise, KMSP stands out more. It has more gravy and sweeter than SSP, which is quite dry and saltier. Btw, SSP sells their siew pow at RM1.20 per piece with is 10cents more than KMSP. For the perfect enjoyment of siew pow, you should eat it when it is piping hot, fresh from the oven! 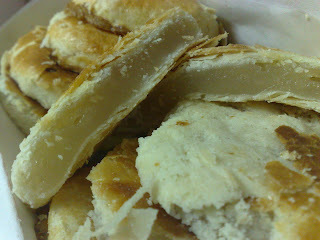 Then, the skin of the siew pow is so crispy that it crumbles at every bite! The sweet char siew or chicken filling oozes into your mouth, making every mouthful a pleasant feeling. What to eat when you are not that hungry but at the same time need something to warm that palate and trigger that taste buds, or if you must, fill that stomach of yours?? What better finger food if it's not popia (spring rolls)?!! Popia are best eaten any time of the day! During breakfast, late lunch snack, post-dinner finale, supper, oh...you get what I mean! 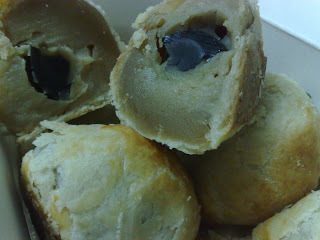 So, for this post I intend to introduce to you one of my favourite popia and will never fail to buy it whenever I go to pasar malam! I have been a fan of the popia from this particular stall since I was 5 years old! I simply love them! It's very traditional, unlike those that you find in KL, which I think is very commercialised! I mean, come on! Chicken floss popia?? Fruit salad popia?? Tuna popia?? What the heck is that???!!! They might be a "new generation" type of popia but I simply hate them! Popia were meant to be traditional......and this stall makes it just the way I like it! The stall is managed by an old uncle with white beard and will always be wearing a cap, and 2 middle aged women, one of them is semi-paralyzed, one of her hands can't be moved. Each popia costs RM1.50. Besides the wrapped popia, they also sell fried popia which is also very good! And loh bak kou (yam pudding), fried noodles, glutinous rice which comes with homemade chilli that is simply divine! The wrapped popia contains shredded egg, sar kot (turnip), taugeh (beansprout), salad, lap cheong (Chinese sausage) and fried garlic. You can either want it with or without chilli paste, both are being spread with tim jiong (sweet sauce) anyway. The skin of the popia is paper thin, every bite you take is full with its fillings which overflows into your mouth! The turnips are very flavouful and the fried garlic gives it a crisp every now and then. It's tim jiong and Chinese sausage gives it a prefect hint of sweetness to it. All in all, this is one heck of a traditional Chinese popia! He was found lying down on the floor. Semi-naked, eyes closed but still moving and opening his mouth when he sensed movement around as though asking for food. I looked around and found that his home was just directly above me, but the access was just too small. I worry I might crush the lil' guy if I were to force him back with his brother. His mom and dad was of course looking at me, fearing that I am a predator which might just consume that lil' guy with just one gulp considering my enormous size, if compared to them. They were franctically flying around. Then, I was contemplating whether or not I shall do something or leave him alone. And so I googled on how to take care of such baby cause I never had an experience before. From what I heard, if you touches it with bare hands, the parents may not want it anymore! But from an online article, it said that I shall keep him safe from cold and cat and leave it somewhere his parents can find him and rest asure he will be fine. So, I made a temporary home for him, with newspapers and newspapers shredding as padding for his home. I don't know if it's comfortable or will it provide enough warmth for the lil' guy, but it's the best I can do. I have thought of feeding him but from the article that I read, I can't feed him too hot a food as it will burn his stomach or too cold, cause it will stay undigested and rot inside him. So, I let nature takes it course. Hoping that his parents know he is safe and continue feeding him. Put him on a hanging plant and went to sleep. Sin Yee Kee beef noodle......This place needs no introduction. It has been running for more than 60 years already!!! Any Serembanian will know this place by heart. Too bad I don't eat beef due to religious reasons, if not, I'll definitely write a personal account on it! But not to worry......many other food bloggers had had review on Sin Yee Kee beef noodle, including The Star, Precious pea and feedmelah.com. You don't need another one to describe how good it is, do you? But honestly, it IS good! Very very good. I had had the chance to taste it when I was very young, when I didn't have to oblige all things religious. Back then, 15 years ago, my dad and grandpa used to be their number 1 fan and still is till today! I can still remember the taste of the beef noodle. It gives such an impact that till date, it's still fresh in my mind. I can literally taste it! Is it really that good??? I am not exaggerating. You've got to try it yourself to know it! 60 years of history can't go wrong, can it? There are no pork served. But I am not sure if it's halal or not. By the way, a bowl of dry beef noodle costs RM4.00, RM5.00 and RM6.00 for small, medium and large portion respectively. There are other types of noodles as well, with or without soup. I was quite full when I finished both Tow Kee Hakka and Hioong Kee cuttlefish noodles. But since Mr. Hioong Kee sort of like hinted to me and strongly recommended for this to be my next stop, I happily obliged. Talk about killing 3 birds with one stone! LOL! I headed over to the Rojak stall in the same foodcourt of Seremban market, behind Hioong Kee cuttlefish noodle. If you go Google-ing on food in Seremban, I think this rojak stall was patroned and recommended by other food bloggers too. It is stall 785, hidden at a corner and was managed by a middle aged woman. The rojak served here is kind of special, to be honest! It is not your usual mamak rojak. I don't know if it was a special recipe of the owner or can it be called Chinese rojak cause it is truly different! Haha.... Instead of the spicy-sweet peanut sauce which is commonly found in mamak stalls, the gravy of the rojak here is sweet-sour with tad hint of spicyness and peanut in it. I have never tasted such rojak before. And it is very good! There was shreded sar kot (turnips), cucumber, spiced potato cubes, taugeh (beansprouts), tofu (beancurd) and crsipy fried kueh. RM3.00 per plate, you can either choose your rojak with or without noodles in it. Seen here is rojak without noodles. Note: There weren't any eggs served. The rojak stall opens everyday except Tuesday from 9.30 am till everything is being sold off, so closing time is not fixed. Right after Tow Kee Hakka Noodle, with my stomach half satiated, I went over for a plate of another famous food in Pasar Besar Seremban, cuttlefish noodle! Seremban has a lot of places selling this kind of noodle, which again, seldom found in other states. Hioong Kee Cuttlefish Noodle is of course, one of the famous one that sells this delicacy in the foodcourt of our Seremban market. It is at stall 753, behind Tow Kee, north-west if you use the stairs from the fruit stalls as a reference. Directions can be complicated here. Sorry I don't have a map. Hopefully the stall number helps. It is RM3.30 per plate of cuttlefish noodle. I don't think it comes in large or small portion, just one standard size. Hence, the single pricing for his noodles. A good plate of cuttlefish noodle requires noodles that are fried just right, not too raw and not too burnt; thick pork slices that are flavourful without the fat layer; fresh vegetables and flavourful gravy or thick soup to top it off! Hioong Kee's cuttlefish noodle fulfilled the criterias and was quite good. The owner of the stall, Hioong Kee came over when his sister saw us taking photos of his stall and noodles. He even pulled a chair and chat with us when we finished his noodles. I think he thought that we were reporters. Hahaha....but I told him that I'm just going to publish it in my blog, hoping to introduce to others good food in Seremban. He even wants to treat us a drink but I politely said no. LOL! Mr. Hioong Kee told us that he managed his business for 15 years already, clearly stating the date of his first opening was 1st May 1995. One thing noteable of his business is that he is really particular of the quality of his food. He said that if the beehoon that he got that day were not good, he won't cook them and insist on getting a better one! And he cleans his vegetables and cuttlefish thoroughly. Which is true because I saw him doing it and the vege in the noodles were sand-free. ^^, Good man, this Mr. Hioong Kee. He even introduce us other makan place for my next entry. Hioong Kee Cuttlefish Noodle opens everyday except Tuesday, from 5.30am to slightly off 1.00pm. Contact number of the owner of the stall is 016-9107357. Now, people may say that the Hakka clan of the Chinese race may be the most simple type of community there is. Just look at their dishes! It's just so....... unglamarous. Considering myself as a Hakka too, I totally agree with that statement! Nevertheless, our dishes taste awesome despite being simple. Now, today's highlight is Hakka noodle, which I think is not very well known, unless you are staying in Negeri Sembilan or Selangor. Malaysians from the north and south, apparently have neither seen nor heard this type of noodle before! Or so, I was told by my friends. So, I went to hunt for a bowl of Hakka noodle as soon as I headed back from uni. Where to, if not the all-famous Tow Kee Hakka Noodle at Pasar Besar Seremban?! This stall apparently has been there for generations. I remember that my grandpa used to patron this lil' stall when he was still around......that was 10 years ago....Probably my grandpa's grandpa too was regular customers! LOL! Who knows? Pricing for the Hakka noodles is RM3.80 for a big bowl, RM3.50 for medium and RM3.00 for a small one. Taste wise? Well, I have been eating Hakka noodles all this while and honestly, everywhere tastes just the same. But somehow, Tow Kee's had a more distinct taste to it! The noodles were more flavourful. At first impression, Hakka noodles might not tweak your appetite at all! It looks dry and like all Hakka dishes, simple! Just minced pork and onion leaves on top of the white noodles. That's it! But once you take a bite, you finally know why this stall lasted for generations and still selling like hot cakes! The noodles were coated with a little oil, which makes it smooth. Its texture was springy and was so flavourful that you don't need the pickled chillies condiment at all! Or else, you'll just overpower the original taste of the noodle itself. One word: Y-u-m-m-y! Tow Kee Hakka Noodles opens everyday from 6.30am to 1pm. Is it normal to think about food when you are in the middle of your study week??? Hmm...I guess not....but I can't help it to think of the best food in Seremban for my next Project kappa entry. I've been Google-ing on Seremban food and there's quite a few recommendations that I had tried before and will definitely blog bout it the next time I visit those places again! In addition, I also had join a group in Facebook called "Places to eat in Seremban, Negeri Sembilan" and yes.....you guessed it, it's a group for members to share and voice out their recommendations on food in and around our beloved Seremban town! 3. Seremban BBQ crabs @ the restaurant near Pasar Besar Seremban - I need kaki makan for this!! The more the merrier....I don't want to eat all the delicious crabs alone. Haha! And many many many more to come!! Do give me some ideas ya! Good food know no boundaries! So long guys.....if you want to join, DO tell me! Project-κ 3, 4, 5, 6, etc....will be in FULL STEAM after my exams!! !